POST UPDATE: In the new NFL mobile update, the app will now show the game sidways across the tv screen, making the game impossible to watch in this fashion (unless you like to turn your tv on its side). However, my husband and I, using much effort, position our iPhones across from eachother, streaming the game on one phone and then using the other phone to utilize the camera app to mirror the game and connect that stream to the tv. Yes, it is a ridiculous, but we will do most anything to avoid paying for cable. And that's why I have a blog. Finally there is a way I can get my football fix and still cut out the one-game-in-town over-the-top cable company. It's called NFL mobile with Verizon. I'm not going to say it's 1080p, more like 720p on our tv, or even that there are no interruptions (30 minute timeout, low battery warnings) but it gets you football for $2.99 a week. We hooked up a lightning to A/V cable to our iphone to our tv so we could stream the game on the big screen. The catch is you have to use the app with your data plan, which means no wifi. Sounds like a handy trick to get Verizon users to upgrade. Well, okay, yeah we did that. Well, how much data does a game use on NFL Mobile? We used up 1.25 gigabytes to watch one full length game, and we hit pause at halftime. 2 extra gb will cost you $10/month with Verizon, so depending on your data usage, this may or may not work for you. For us, we can make it work. For us, we only have a couple bars of 3g at our house, so it took some finagling to get the game to stream without frequent pauses. After doing some research online, we unplugged our router to minimize interference, looped the phone outside, stood it on a watering pot to be higher off the ground, and then the real kicker, we put the phone in a rocks glass to catch and hold the signal. The rocks glass did the trick and we were able to watch a clean streaming game with minimal stops. On top of that, the Eagles are 3-0 this season. That has nothing to do with thriftiness, but it has everything to do with happiness. I love football season. Forget the hassle of couponing, reap the benefits instead! As a blogger who claims to be all about being thrifty, I have a confession: I'm not a couponer. In fact, I really dislike coupons. Here are a few reasons why. 1. Coupons can make you spend more money. Oh, you have $10 off $30? Well instead of just spending $7, all of a sudden there is a pressure to spend $30 just so you can save $10. Sound familiar? We can often forget the reason companies create coupons is because they want you to buy more, not less. 2. Coupons are really annoying to keep track of. Something I have done regularly is clip a bunch of coupons and then show up at the store with my product only to realize the coupon is at home. Other times I get home to realize I forgot I had coupon for that. Then there are the really annoying times I don't read the fine print carefully enough and the cashier rejects my coupon! Gah! I hate couponing!! 3. Coupons entice you to buy a specific product that you often don't want. What you want is coupons for what you want to buy. Well there is a solution! Use coupon apps (they are my new best friend). 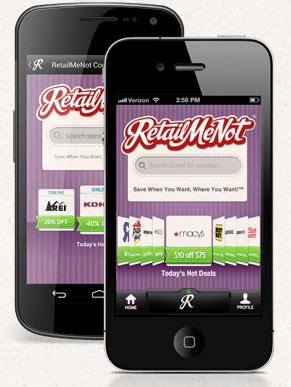 My favorite two are Retailmenot for my smartphone and Honey for my Chrome web browser. Here's how they work. 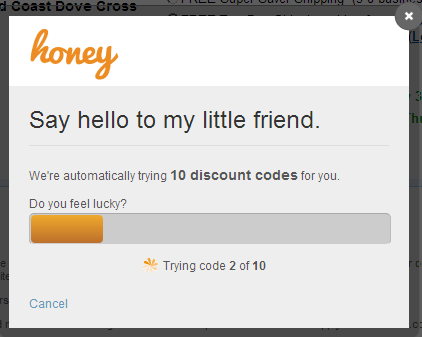 Honey Plugin for Chrome: What always irks me about online shopping is the check out portion, and dreaded promotional code line. This line indicates that there are promotional codes out there but I don't have them so I am losing out on savings!! Luckily, the Honey app will pop-up automatically (after installed) and ask me if it would like to search of savings. Yes, of course! 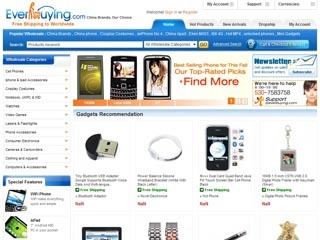 As a result, it will do a web search and pull up any applicable coupons for the site. Great! Once again, you have the freedom to buy stuff you were already going to buy, but this time, you may get a sweet discount. Coupons can be our friend if they don't talk us into buying more stuff. What we need is less stuff for less money. And that's why coupon apps are my best friend because they actually save me money in the long run. Yes, music to a thrifters' ears. Unwarranted charge? Get your money back! 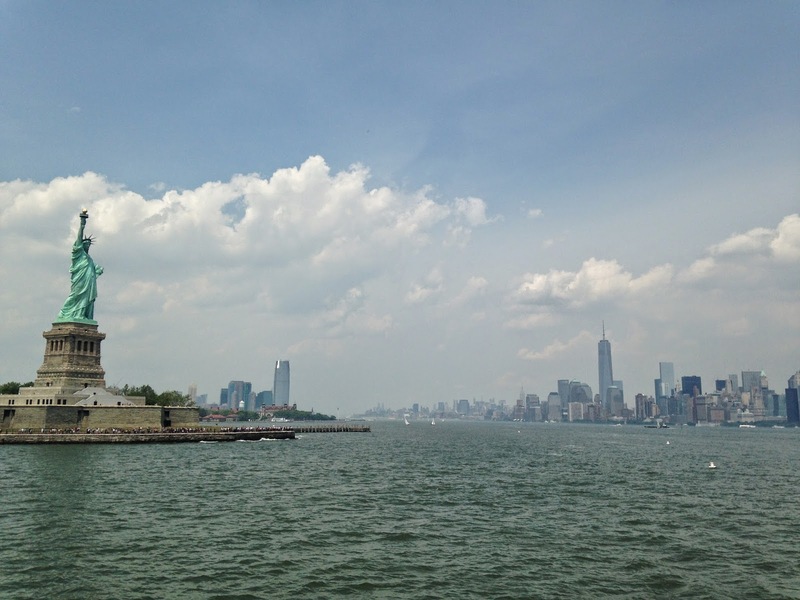 My husband Chris and I just took a 3 day, 2 night trip to New York City. I used my favorite new hotel-finding-toy google.com/hotels where you can choose a location on the map, pick a radius, and it will show you all the hotels in the vicinity. Once you've identified your radius, n you can sort by price to get the best deal. This especially comes in handy when you have a husband who wants to stay in Manhattan and a wife who is horrified by high prices. The result was we choose a cozy bed and breakfast 100 or so blocks away from mid-town and just a couple blocks from a subway station. Savings: $100/night plus free breakfast. Yes, please, thank you. At the end of our trip, we checked out of our hotel and noticed something less than excellent pop up on our credit card statement. We were sitting in a coffee shop before heading to the bus station and decided to review all our charges from the vacation. (Side note: I can't emphasize enough how important it is to review your finances because it keeps you more aware of your charges and spending habits. It also helps identify possible fraudulent charges or anything that looks outta whack. We use mint.com so we can see all our finances in one place.) We had paid for our hotel several days in advance online, but we saw an additional $90 charge pop up from the hotel after we checked out. We racked our brains for a possible cause for the charge but couldn't come up with anything. Chris promptly called the hotel for an explanation and no one answered. The next day he called again and left a message and he also wrote an email, which were all unanswered. At this point, I am very frustrated. Nothing pisses me off more than feeling like I got swindled! Luckily Chris knew what to do. He called the credit card company and explained the situation. He told them we attempted to contact the hotel with no response - we hadn't authorized any additional charges. The result? The credit company took the charge off. That's it! Credit card companies always trust the consumer first, and the merchant second. After we filled the complaint the charge was completely removed from our responsibility. The credit card company will now contact the business and ask them to warrant the charges through documentation - if they can't then the money is ours to keep. We believe it was either an accidental charge or a shady hotel maneuver so we believe the money has found its rightful home. I've been offline for a while, and there's a good reason for it. Since August I've gotten engaged, planned and implemented a large-scale celebration with food, alcohol, decorations, photography, favors (also known as a money pit [American terminology: wedding]), gone on a honeymoon, and moved to Virginia. Right now I'm on a journey of becoming acclimated with the area, meeting people who may become my friends, and trying to show potential employers that I am a seasoned and skilled professional over a large pool of other people, using only a couple pieces of paper. So, why did I turn back here? A couple days ago I attended a yard sale and bought a beautifully hand-made wall hanging that retails for $80 for just $2. It's scores like these that ignite my thrifter flame. Yes, it's a flame. Yesterday, I took my new-to-me car to the dealership for a minor issue. The gentlemen behind the counter first flirted, then buttered up, third attempted to sell me a pricey service plan. Why do I need a service plan when I have a full-fledged warranty? I don't, and it straight up pissed me off. Today I woke up and read an article in Real Simple magazine on tactics for hosting a decent yard sale: how to draw in spectators and manipulate them with small talk so they a) buy things and b)do not haggle or low-ball your prices. Side note: Maybe these people deserve to be manipulated anyway? I mean low-ballers...at a yard sale? There's not respect in that. You're already at a YARD SALE. Honestly, you're just cheap. Today, I bought a Groupon for a local restaurant I've been wanting to check out. $30 for $60 in food with a $10 discount bringing the grand damn total to $20. I haven't Grouponed in a while, but they are perfect for exploring a new town OR rediscovering your current town. Yes, you could say all of this has led me here, back to this place. Something close to my heart. And maybe I've felt ashamed to show my face because, as you can imagine, I've spent a good deal of cash in the last 6 months with my life changes, following American culture and all. But, I did make cuts when I could, but this - here- is still apart of me. And there is no separation. As a blogger, I often do reviews. I'll review products, websites, or reward programs. Most of the time, I think its something my readers should know about, so I write on it. Other times, very few times, a company will contact me and ask me to review whatever they're selling. If it's relevant to this blog, I will say yes. I've already said yes to a sunglasses company, and a special company promotion, and in response, I do my best to give a fair and accurate view of what I'm reviewing. At present, we can't provide any products or credit. Is that Okay with you we send you the article then you just post it. We have a team of copywriters who specialize in writing articles on various topics and would like to write an original article for you to use on your website – this article will not be used anywhere else on the Internet. So, what do you think about it ? " My question is: what is this company hiding? Why can't I experience and review their site like a normal blogger/advertiser relationship? I don't know. I do know that if you google "everybuying.com scam" quite a few hits come up. I also know you or I can't trust any positive review anywhere on the internet about this company, because it was likely submitted by the website's very own writers. Obviously I can't endorse a website that would chose such a dishonest method of self-promotion, and I would advise anyone to stay away from it. It can't be trusted. I often get asked if I make money on my blog. The answer is basically no. I've gotten paid in very, very small monetary payments from google ad words that pay pennies on the post. I mostly get paid in happiness when someone offers a comment, but pretty much, that's it. When I do get offered a free product or gift card, I like to be able to take up the project and use the kickback as my reward. But let me be clear - I am not a sellout. I will not be dishonest. I will never say something that I believe is untrue. And I will never post an article written by a company to make them more money. This is my commitment to you. Another semi-commitment/honest fact: I may try to brainwash you into sending me all the money you save through my helpful tips. Whatever, I'm just trying to be honest.